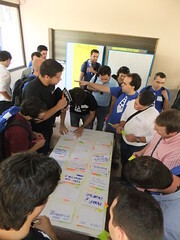 Last Saturday the Apache Barcamp Spain took place in Seville. It was the first Apache Software Foundation event in Spain, ever. The idea started almost a year ago, chatting over at the ApacheCON with the ASF folks that were at the time organizing the Apache Barcamp Sydney and Oxford. I liked the idea and with some hand-waving and crazy ideas was able to convince the other organizers, that you all should know: the local Klicap guys Manuel Recena & Antonio Muñiz that had to handle all the local organization, David Bonilla, who had to jump from plane to plane to get from SF to Seville in two days, and Abel Muiño, that couldn’t attend because he’s having a baby, congrats!. Without them, this event could never, ever happen! A full day with 3 tracks, 18 sessions, Barcamp style. 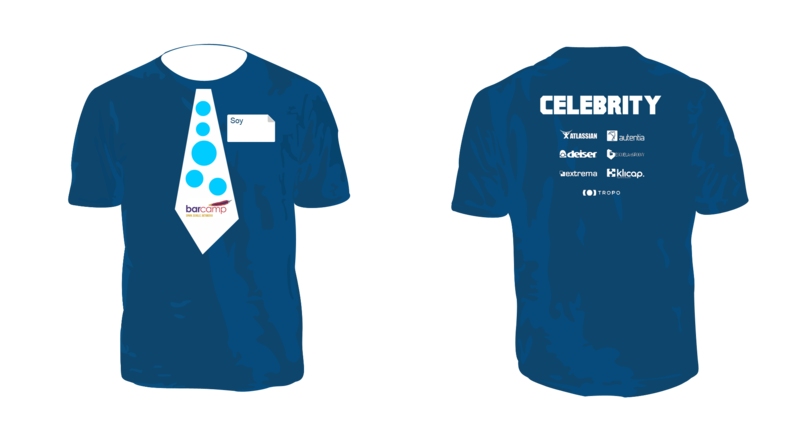 130 people signed up, with tickets lasting less than 5 hours. We asked everybody to confirm attendance one week before the event so we could free up some room for people in the waiting list, but still some people didn’t show up 😦 (the problem with free events) which was compensated by other people showing up without registration that we gladly accepted. It was great to see many people coming from places all over Spain, considering that they didn’t know what the sessions would be about, flying from the Canary islands, Barcelona, Galicia,… that definitely sets the bar high for the content of the event. The attendees received a free CELEBRITY t-shirt (no kidding) with room to write the name, instead of the usual boring stickers, to encourage people to wear it, which most of them did, plus a Pokemon card (more about that later). After the initial event introduction, all those attendees that wanted to give a talk came into stage, and we had volunteers not only to fill the 18 sessions, but 27 session proposals! which was a great ratio speakers/attendees. So everybody had to vote, and we got down to the final 18 sessions. I’d like to thank everybody that suggested a talk even if it wasn’t voted, don’t let it bring you down and try again in other conferences. Note that if you buy what looks like Post-Its, make sure they stick and are not only colored papers! We had to work around the issue by voting on a table instead of the whiteboards. We had recording/streaming (not without its issues) working in two of the tracks too, the videos will be uploaded to the website soon. Unfortunately, organizing and speaking (I gave a talk about DevOps which I’ll post about soon) didn’t leave much time to do networking, just a bit during the coffee pauses and lunch. And I’d like to have caught up with many of the people that were around, sorry I was running around most of the time, I’ll see you at the next event with more time! After the sessions we had four lightning talks, which I believe most people were new to the format, but was entertaining, I liked particularly the always funny (if you can get his German-southern Spanish accent) and ASF member Thorsten Scherler, who just got into twitter this week! The final act was the Pokemon ceremony, which we just made up during the day 🙂 All the speakers went up to the stage, and everybody had to give their Pokemon card to the talk that they liked most, which was quite a fun time. We had an Android tablet ready for the winner, Nacho Coloma, and Amazon gift cards for the 2nd and 3rd, our little way to encourage people to speak and spread their knowledge. We also gave away a gift card to a random twit that used the #barcampes hashtag. From there on, it was beer time. 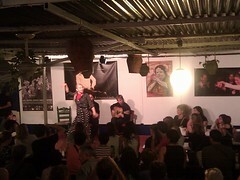 We went to a typical Flamenco bar in the old part of Seville, La Carboneria. On our way there it was fun to find other attendees wearing the blue t-shirts, which made locals refer to us as the smurf tide. At the bar we had waiting for us free beers, a private area with tons of food, serrano ham, cheese, tortilla,… very typical Spanish, and three Flamenco shows during the night, plus a patio where most people gathered to talk. Thanks to all the sponsors (Klicap, Extrema Sistemas, Atlassian, Deiser, Escuela de Groovy, Tropo, Autentia) for their collaboration and help to make this event so successful! This entry was posted in development and tagged apache, asf, barcampes, sevilla, seville by Carlos Sanchez. Bookmark the permalink.